Having a first-time author give advice about publishing a book is kind of like having a new parent offer tips on surviving an infant. In both cases, the person is likely sleep-deprived, the process was a blur, and it’s too early to tell if the book/child will be any good. And yet, I find myself sitting in the backyard trying to think of some useful information to share with graduate students and junior faculty curious about getting the dissertation published. I was fortunate enough to have my first book published in May. It has one of those academic titles in which the first part is (meant to be) catchy, and the post-colon is a bit of a word salad. There are some traditions you just don’t mess with. The process of publishing the book was far less daunting than I had imagined, though it certainly required a lot of work. Writing a book is weird because as an historian you exist in two worlds: academia (largely a weird made-up world), and the actual world where you have friends and uncles and have to explain what you do in the summer. In academia, publishing a book is exciting but expected and even required (if you want to keep your job, anyway). In the real world, writing a book is really cool. You get to be on Amazon, your friends will promise to buy it (suckers), and you can do things like sneak into bookstores and put your tome on the table of staff recommendations. But how do you get to the point where you’re tricking Indigo patrons into thinking that “Amanda” loves your work? Here are the steps that I took. Before you defend your PhD, start talking to editors at university presses that you respect. Editors are good people, they attend conferences, and they enjoy talking to exciting young(ish) people like you. Get on their radar, establish a rapport, and ask them if they’d like to read something. Before you know it you will have drafted a proposal and included a sample chapter, at which point you’ll be ready to sign an “advance” contract. This is basically a promise on your end that you will finish the dissertation, improve on it, and then send it to the Press. It is a promise on their end that they will publish it if it gets through peer-review. You get to sign a contract (cool! ), you get to make a joke about retaining the movie rights, and you get to put it on your CV. The obvious second step is finishing your dissertation, and Jerry Bannister has some things to say about that. When you have finished, however, you need to start again! This time, you likely want to move things around and add a chapter or two. Most importantly, write with the voice of an expert in the field (which, in case nobody told you, you are) instead of as a graduate student hoping to inch the field ahead without ruffling too many feathers. You get to do satisfying things like take all the boring historiographical work that you struggled over in your introduction and move it to the footnotes (for nerds). You can employ more graceful prose, you can think about the audience you hope will read your book, and you can do all this while navigating the surreal world of not being a grad student. Then will come the time to submit your ms to the Press. You will wait. And wait. And wait some more. And, to reward your patience, you will receive reader reports and they will make you hate your life. Read them carefully, take a deep breath, and do something fun for the rest of the day. The next day, read them again. Think deeply about the criticisms and suggestions they have offered. Make lists using the headings “criticisms I need to address” and “READER 2 IS A STUPID JERK”. These reports can sting, but try to remember that (in most cases) these nameless, faceless experts want your book to be better. Responding to reader reports is the moment when you become your own historian. You take the good advice, you argue against the suggestions you find unhelpful, and you revise. Your book will change, your ideas will sharpen, and when the revisions are done you will have a better manuscript. But — mark my words — your grandchildren will hear the awful tales of Reader 2. Finally, and most importantly, celebrate. Celebrate surviving every goddamn stage of this process. Finished a draft chapter? Do something fun. Won a fellowship? Treat yourself. Nobody is going to celebrate for you, so make sure you take the perks where you can find them. The ultimate celebration will be the quiet moment you spend leafing through the first copy of your book after it arrives from the press. By this point, you are probably well into your second project, which is just as exciting as when you started your dissertation. But holding your first book is pretty awesome. It’s entirely possible you can’t remember exactly what you argued in each chapter, and that’s fine. You learned to skim a book for the gist in grad school, right? Just don’t read too closely. There is absolutely a typo in there. 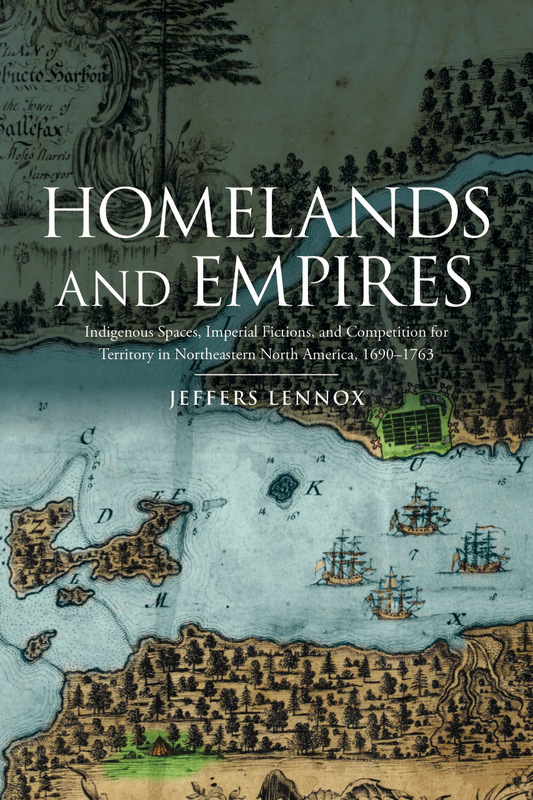 Jeffers Lennox is assistant professor of History at Wesleyan University and author of Homelands and Empires: Indigenous Spaces, Imperial Fictions, and Competition for Territory in Northeastern North America, 1690-1763 (University of Toronto Press, 2017). His current project is North of America: The Revolution, British Provinces, and Creating the United States, 1774-1815 (under contract, Yale University Press). Just a thought, but it seems like ending this at when you submit it doesn’t go far enough. Maybe if you’re an academic and the goal is to publish, rather than sell, books it is. Even then, though, I’d think selling books would improve your odds of getting the next one published. Also, I would think knowing that people are actually reading it would be rewarding. So, maybe another post about how to get people to review, read and hopefully buy the book? I’d note that your Amazon.com listing (as of 9/2017) is not doing you any favors in helping people appreciate why they would want to read this book. If anything, it’s doing the opposite. Good luck, it sounds like a very interesting book.